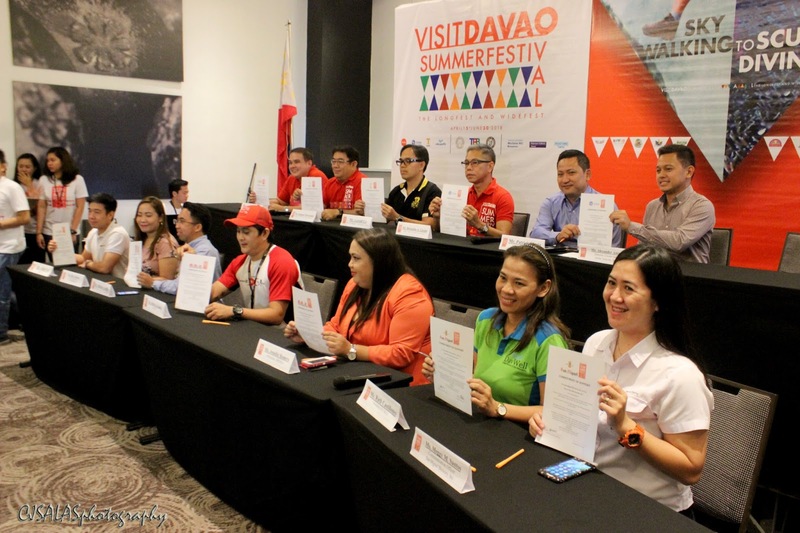 Davao Region is now up for a very wide and more than 2-month long festival - the VISIT DAVAO SUMMER FESTIVAL! 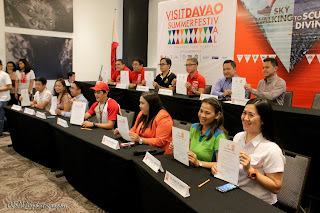 Visit Davao Summer Festival is an initiative of Mr. Benjie Lizada, together with the Department of Toursim Davao Region headed by Mr. Antonio Fernando Blanco, in participation with the different local government units and partners in Davao Region. It has a lot of summer activities that people can enjoy from different sites of the region such as in Davao City, Island Garden City of Samal, Tagum City, Mati City, Davao del Norte Province, Compostela Valley Province (with the Municipalities of Maco, Mabini, and Maragusan), Davao Oriental Province (with the Municipalities of Governor Generoso and San Isidro), and Municipality of Sta. Cruz. A total of 35 activities are to be expected that cover much of summer sport activities, travel, shopping, arts, pet shows, and nature appreciation. This region-wide festival starts from April 15-June 30, 2018. This is such an exciting festival as it features the region more of sporting activities from highlands to islands. Yes, more of sport activities from a vertical, going to the mountains or diving the deep blue sea, and horizontal races and extreme sports - name it, you’ll gonna experience it in Davao Region. Hopefully, this will bring the region as a major sporting hub in the country especially that some events are being participated not only by the locals but with some international competitors, too. Wayback, it is VISIT DAVAO FUN SALE! It is situated and focused only in Davao City with summer shopping sale and fun activities. 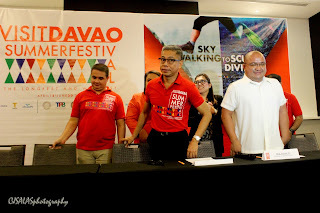 With the Visit Davao Summer Festival 2018, it is wider and reaching more cities and provinces. That’s a goal of a One Davao Festival! For more information about the festival as well as the roster of events, you can reach them at this LINK!